The most convenient high gloss detail you’ll ever need! The Belt Pinnacle Kit combines the uber-convenience brought by The Belt with your favorite (well, our favorite anyway) high gloss quick detailer, Pinnacle Crystal Mist. The trouble caused by the stop and go actions of having to put your bottle down, just to pick it back up again in a new section is erased thanks to The Belt. Simply slip your bottle of Pinnacle Crystal Mist in your pouch and continue on your way! Give your car that “just waxed” look quickly and efficiently with The Belt Pinnacle Kit. • Cord Wrangler Loop: To keep your buffer cord in place behind your back. Can also be used as a towel loop. 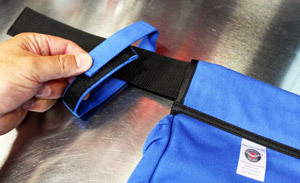 • Adjustable Belt : For waists up to 43", no plastic or metal buckles that can scratch paint. 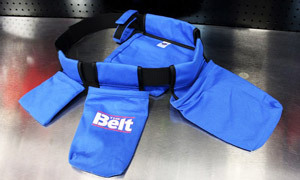 • Car-Paint-Friendly Soft Cotton Fabric : The Belt was specifically designed to be paint-friendly, no metal, plastic, or harsh fabric has been used, so you can keep your paint scratch-free! • Mix-and-Match: Each bag goes on individually, so you can mix and match to your perfect setup for that day’s job. 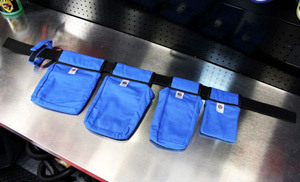 Whether it’s one bag or all four, Detailer’s Helper will help you get the job done better and faster! • Machine Washable: The Belt is made of a pure cotton blend, making it perfectly safe to machine wash. Slung around and stuck on product doesn't have to hinder The Belt's appearance! • Light Weight: Unlike a large construction or leather belt, The Belt is light weight, you actually forget you’re wearing it! It weighs less than a pound! The Belt makes detailing easier, plain and simple. 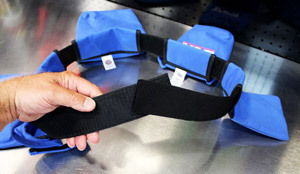 I worked with a good friend and long-time customer of Autogeek to aid in the development of The Belt, making sure that it was absolutely perfect. Perfect is a strong word, a definitive to some…but to me the word perfect means the best, and that’s what The Belt stands for in this industry. It is arguably the best detailing accessory you’ll ever purchase – bar none. Use it once and you’ll wonder how you ever detailed your vehicle without it. If you like the Deluxe Jr. 600 Microfiber Towel, you'll love having a second one in the Gold Plush Jr.! The Gold Plush Jr. Microfiber Towel is made of incredibly soft and plush microfiber in a handy 16 x 16 inch size. It's perfect for quick detailing and pampers every surface it touches. The Gold Plush Jr. Microfiber Towel measures 16 x 16 inches and features an outstanding 75/25 blend of polyester and polyamide. 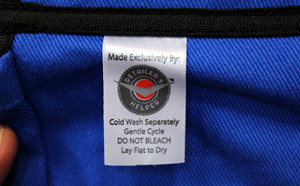 The microfiber’s weight is 380 g/m², making one very soft towel! Pinnacle Crystal Mist Detail Spray, 16 oz. A total retail value of $104.97. You save $44.98!